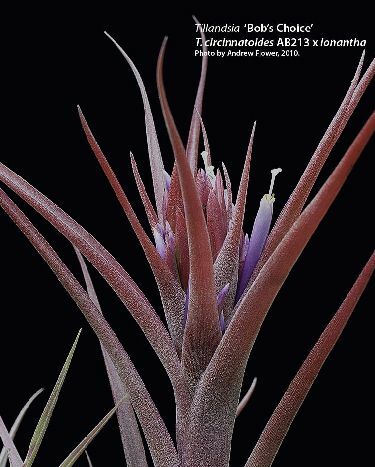 circinnatoides x ionantha, by Andrew Flower, NZ. 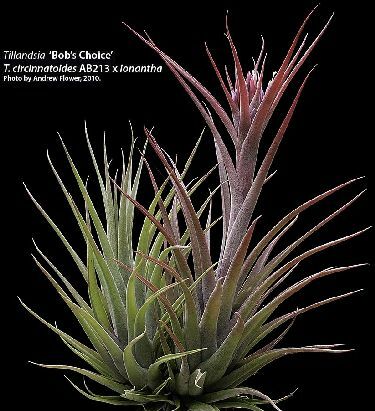 Andrew Flower..."Bob spotted a row of these above the concrete mixer used for amalgamating potting mixes in the back of Unit 5B. Told him they were not up to much, I was considering throwing them in the compost. Bob said "I'll buy a couple," I said "that's your choice." and collected the coin. 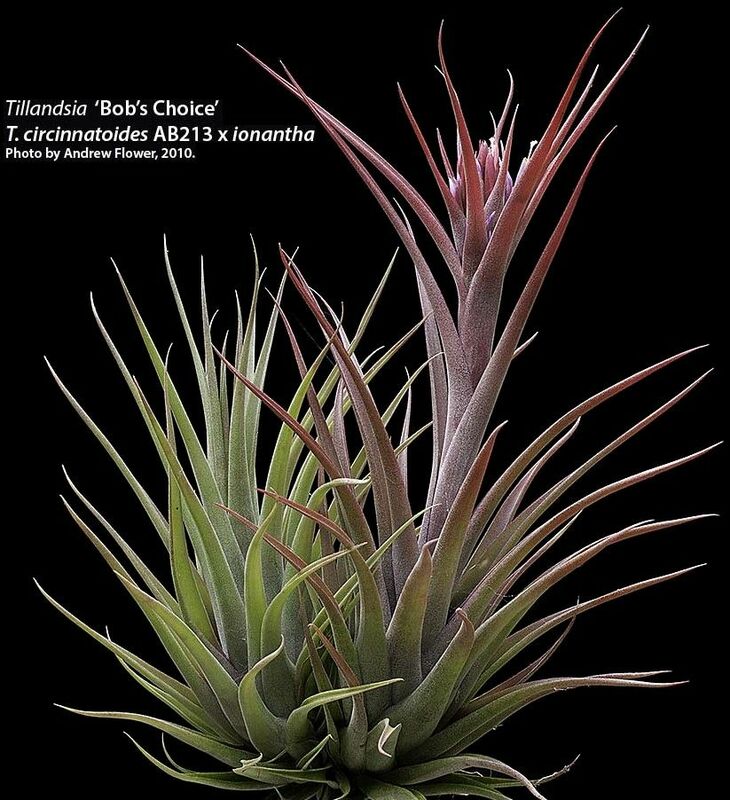 Tillandsia 'Bob's Choice' T. circinnatoides AB213 x ionantha. Cross made 1999, seed sown January 14 2001. First flowering April 1, 2010. Plants 30cm high in flower.